New Delhi, August 09, 2018: Eicher Motors Limited (EML) today announced its unaudited consolidated financial results for the quarter ended June 30, 2018. In the quarter ended June 2018, Royal Enfield posted its best ever performance. Revenue from operations rose 27% to a record Rs 2,548 crores (net of excise duty) in the quarter, compared to the same period last year; Profit After Tax grew by 25% to Rs 576 crores from 460 crores in the same period last year. The EBITDA % was recorded rose to 31.8% this quarter from 31% in the same period last year last year. Royal Enfield sold 225,286 motorcycles in the Q1 2019, registering a growth of 23% over 183,731 motorcycles sold in the same period last year. In May 2018, Royal Enfield launched the limited edition Classic 500 Pegasus, inspired by the Royal Enfield RE/WD 125 ‘Flying Flea’, the legendary lightweight World War 2 motorcycle, and paying homage to Royal Enfield’s military heritage. With only 1000 motorcycles available globally, and 250 of them in India, the Classic 500 Pegasus, was a unique opportunity to own a piece of motorcycling history. These motorcycles were sold exclusively through the Royal Enfield website in India, wherein all 250 units were sold out in just 178 seconds of bookings opening online. In this Quarter, Royal Enfield flagged off the 15th edition of the Himalayan Odyssey from India Gate, New Delhi on July 7, 2018. Considered the holy grail of motorcycle rides across the world, the Himalayan Odyssey witnessed a participation of 60 motorcyclists this year, including 10 women riders. 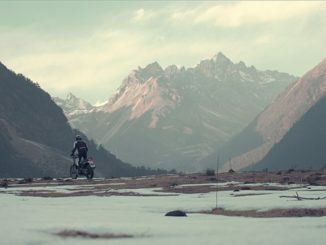 On this epic ride, participants traversed some of the toughest terrains and highest mountain passes in the world, covering a distance of over 2200 kilometres across 18 days on their Royal Enfield motorcycles. VECV sold 16,327 trucks and buses in the quarter, growing 41% over the same period last year. The growth in the CV industry is likely to continue due to a variety of factors including infrastructure development, growth in the manufacturing sector post GSTand strong replacement demand. In the quarter, VECV launched the Pro 6049 and Pro 6041, which will continue to modernize the heavy duty segment in the 49 tonne and 41 tonne segments. We are also adding more variants powered by CNG in the light and medium duty segments, to cater to last mile connectivity.